Our regional chapter in Southeast Asia, SEAPAC, hosted a Board Meeting and workshop at the end of August in Jakarta, Indonesia. Parliamentarians joined from Malaysia, Timor-Leste, Brunei Darussalam and Indonesia. Representatives of anti-corruption organizations joined the parliamentarians during the workshop. participants to GOPACâ€™s Handbook on Parliamentary Ethics and Conduct: A guide for parliamentarians. During the Board Meetings, members agreed that SEAPAC should explore the possibility of membership fees at the national level. They also committed to exploring possible cooperation with regional and international parliamentary organizations, including Asean Inter Parliamentary Assembly (AIPA). The next SEAPAC Board Meeting will be held on the sideline of the sixth Global Conference of Parliamentarians Against Corruption, in Indonesia, in July 2015. 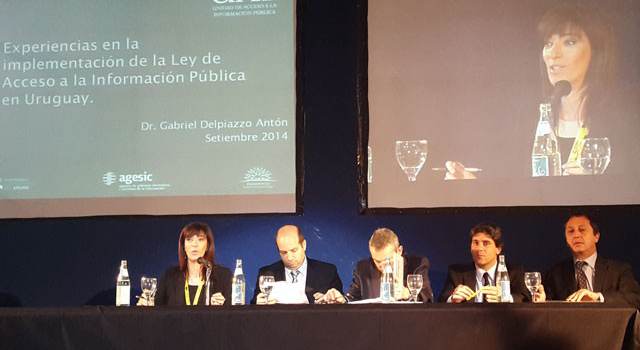 On the 2-3 September 2014, anti-corruption fighters gathered in Buenos Aires, Argentina for the second International Conference on Transparency. With the goal of strengthening transparency in governance, the conference brought together experts on transparency and access to public information from Latin America and Europe. Hosted by the Under-secretariat of Public Affairs of the Government of the City of Buenos Aires, the conference welcomed experts from Argentina, Uruguay, Chile, Mexico, Brazil and Spain. Guests shared experiences addressing issues including the social impact of corruption, drug trafficking, money laundering and access to information. Latin America and the Caribbean and Chair of GOPAC Argentina. She moderated a panel on access to information which included the President of Uruguayâ€™s Access to Public Information Unit, the Provincial Director of Anti-Corruption and Transparency of Santa Fe, the former President of the Council for Transparency of Chile; and the Commissioner of the Federal Institute for Access to Information and Data Protection in Mexico. Ms Bertol praised the government of Buenos Aires for their commitment to transparency and accountability. She also stressed the important role that the sharing of experiences plays in the progress and success of the fight against corruption. Do you agree that grand corruption poses a risk to national security in your country? 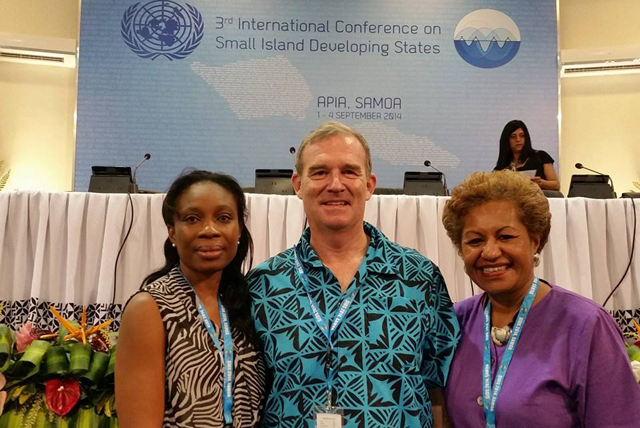 Chair of GOPAC Oceania and member of GOPACâ€™s Board of Directors, John Hyde, attended the International Small Island Developing States (SIDS) Conference in Apia, Samoa at the beginning of September. In parallel to the conference, the United Nations Office on Drugs and Crime (UNODC) in partnership with the United Nations Development Programme (UNDP) hosted an event on anti-corruption reforms in SIDS. Speakers shared experiences from the SIDS countries of Micronesia, Jamaica, and SÃ£o TomÃ© and PrÃ­ncipe. They discussed key challenges and lessons of anti-corruption reform in their countries. As a result of this meeting, the UNODC and UNDP have expressed a commitment to facilitating an event in 2015 dedicated to sustainable anti-corruption reform for SIDS. GOPAC encourages parliamentarians in SIDS to participate. We also urge them to join GOPAC and work towards establishing national chapters in their countries to strengthen their fight against corruption with the support of like-minded parliamentarians from all corners of the world. Arjoso, a member of GOPAC Indonesia and the Chair of the Public Accounts Committee in Indonesia. Discussions focused on the key methods for restoring trust in government and building trust with the private sector and civil society. The Hon Arjoso spoke during the third session on building trust in the government decision-making process. She opened her presentation with an introduction to GOPAC and our work. She also discussed the importance of ethics regimes in building trust in the policy-making process and in the fight against corruption, highlighting the experiences of the Indonesian parliament. Do you know a member of GOPAC who, through their tireless fight towards a corruption-free world, exemplifies GOPACâ€™s core values of INTEGRITY, ACCOUNTABILITY, COLLABORATION, and DIVERSITY? Is their storyâ€”their fight against corruptionâ€”one that should be shared with the masses and used to teach others that what many think impossibleâ€”the eradication of corruptionâ€”is in fact possible and being worked towards in your country? They could win a scholarship to the International Anti-Corruption Summer Academy! corruption in 500 words or less. Everyone is eligible to nominate but the nominee must be a GOPAC member. Thanks to the generous support of the International Anti-Corruption Academy (IACA), GOPAC is granting the winner of the International Anti-Corruption Award with a scholarship to IACAâ€™s Summer Academy 2015 in Laxenburg (Vienna), Austria. The winner will also be named GOPAC Ambassador and profiled throughout our communications products. The call is now open and runs until 31 October 2014 at 11:59pm EDT. Submit your nomination by emailing awards@gopacnetwork.org. Copyright Â© 2014 Global Organization of Parliamentarians Against Corruption (GOPAC), All rights reserved.